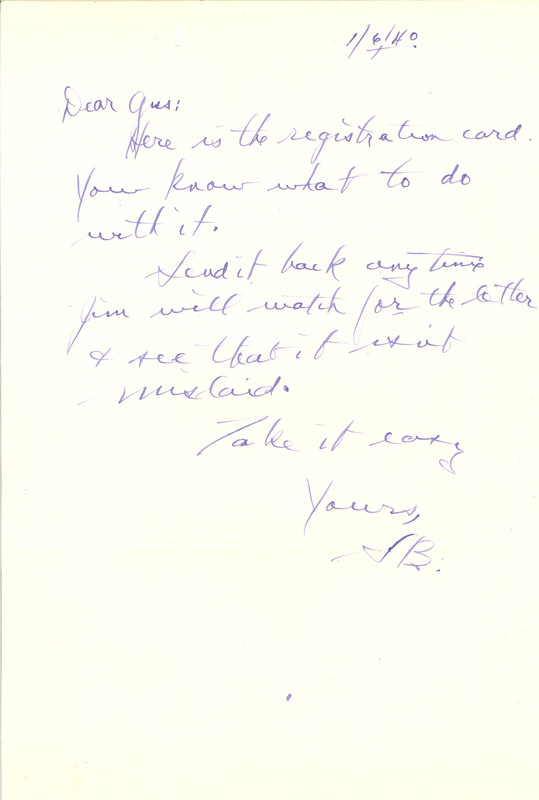 1/6/40 Dear Gus: Here is the registration card. You know what to do with it. Send it back any time, Jim will watch for the letter & see that it isn't mislaid. Take it easy. Yours, SB.